In 1502, Leonardo da Vinci made a sketch for a single span 220 metres (720 feet) long bridge over the Golden Horn at the mouth of River Bosporus at Constantinople (Istanbul), Turkey. This was the first time that such a long single span bridge was proposed. Being an entirely new concept, Sultan Beyazid II was not convinced about the safety of such a bridge and the project was shelved. Leonardo's brilliant idea therefore remained on paper only. As a matter of fact first single large span bridge, but of different design, was built about 300 years after the great Leonardo conceptualised it. 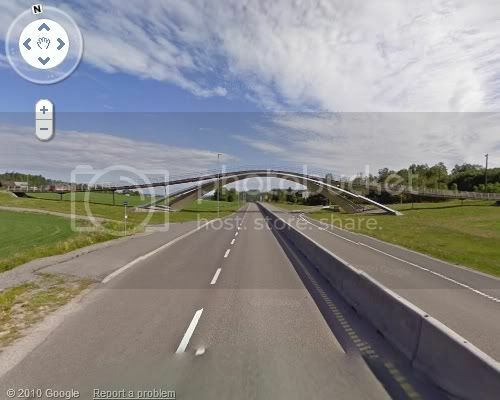 In 1996, Norwegian painter, Vebjørn Sand, saw the sketch and a small model of the bridge in an exhibition on Leonardo's architectural and engineering designs. He was very enamoured by the design and convinced the Norwegian Road Administration to build a bridge in Norway based on Leonardo's Design. 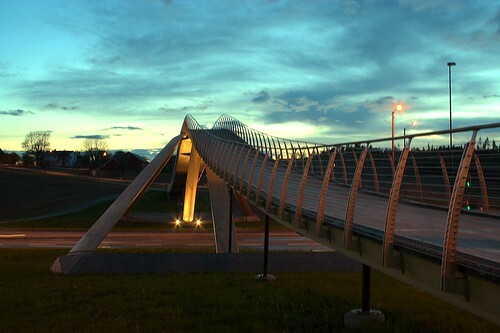 Ultimately in 2001 a smaller scaled version of the original design was built, as a wooden pedestrian bridge, near the town of Ås, on highway E-18 linking Oslo and Stockholm. Converting the basic design in reality was done by Architect Selberg. Total length of the bridge is 108 metre with main span width of 40 metres, height 10 metres and clearance of 5 metres. It is understood that the Turkish government has also decided to construct a full fledged bridge spanning the Golden Horn based on Leonardo's design. 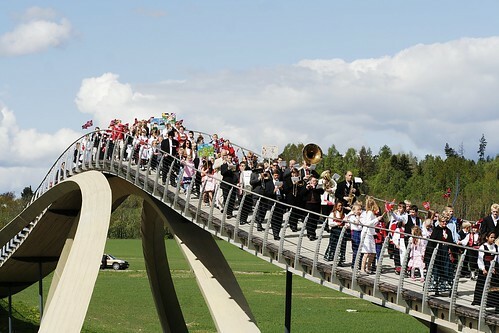 Children's parade crossing the da Vinci bridge, on the Norwegian Constitution Day (17th May).